You have your Bela Lugosi vampire films. And of course there are the likes of The Twilight Saga, Bram Stoker's Dracula, Near Dark and even Tom Cruise took a bite or two in Interview With the Vampire … it’s a long list. But you have to go all the way back to 1967 and Roman Polanski’s The Fearless Vampire Killers to find anything that even remotely resembles Paramount Home Media’s July 21 DVD debut of What We Do in the Dark. This award-winning, New Zealand-based vampire tale — actually a “documentary” — from the directing and writing team of Jemaine Clement and Taika Waititi (who also star) takes the spoofing of this genre to new levels of merriment. The ARR for the July 21 DVD debut works out to 158 days and domestic ticket sales from the film’s limited theatrical release were a tasty $3.4 million. 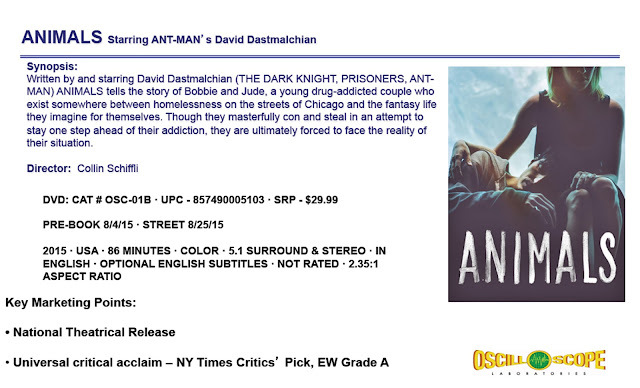 Paramount has wisely picked up this indie theatrical release for domestic home entertainment consumption. In the New Zealand city of Wellington — at the very bottom of the North Island — a trio of forlorn housemates are being filmed by a documentary crew, which in and of itself represents a spoof-within-a-spoof in the very best tradition of This is Spinal Tap. Indeed, so good is What We Do in the Dark in staying completely in context of its subject matter that you are pretty sure that it might be the latest Christopher Guest send-up (think: Waiting For Guffman, A Mighty Wind, etc.). 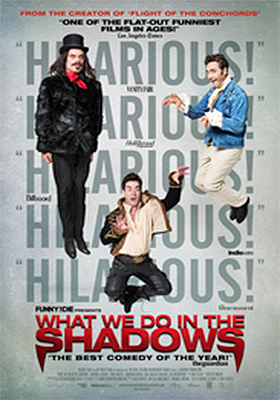 The roommates, Viago (Taika Waititi), a self-described “dandy,” Vladislav (Jemaine Clement), known as a “bit of a pervert,” and slacker Deacon (Jonathan Brugh) are vampires. How they ended up in Wellington, not exactly a city known for its nightlife, makes it all the more amusing. They are bored, restless and pretty inept at getting fresh blood. Their latest houseguest is Nick (Cori Gonzalez-Macuer), a fresh kill-turned-vampire, who proves to be both an asset (good at getting them invited into the local clubs) and a liability (too sloppy in his nighttime travels) … they just can’t eat his friend Stu (or is it “stew?”). 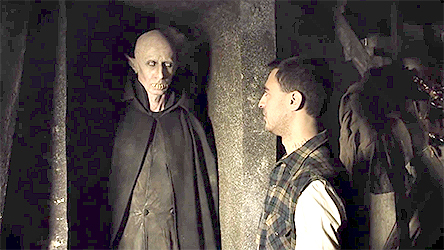 Oh yes, and down in the basement is Petyr (Ben Fransham), a vampire so old that he stopped counting at around 8,000. It’s not easy being a vampire in New Zealand. There are werewolves to contend with, finding a late-night snack can be daunting, keeping an eye out for the occasional vampire hunter can be worrisome … and then there are those nagging household chores! Mill Creek Entertainment announced its first wave of priced-to-own DVD product selections for the month of August this past week. The first six DVD releases will be retail-ready on Aug. 4. Leading the parade are the Dove “Family-Approved” four-legged duo of Coco and Stella, who seem like ordinary little dogs, but they have the special ability to talk to each other. This kid-friendly story featuring talking — and very talented little dogs — is the concept behind director Matt Holwick’s Designer Pups. Stacy (Teagan Sirset, making her film debut here) is a novice fashion designer who is belittled and quickly dismissed by world-famous designer Michel (Torrey Halverson) during her interview for an intern position. Smacked down, she by chance manages to quickly steal away his most prized client when her little furry friends come up with their own unique doggie-inspired designs that set the fashion world all a’buzz. 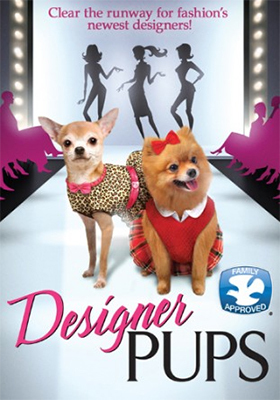 In a world where the devil wears Prada, nothing is beneath the phony Michel to put the upstart Stacy in her place … and that includes dognapping Coco and Stella! 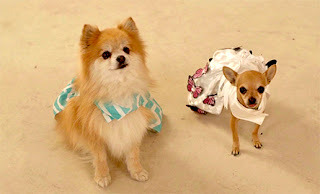 Not to worry, these little pups are not only fashion hot shots, but a whole lot smarter than Michel and his stooges! Also on the movie front on Aug. 4 is the DVD release of the James Spader Three Movie Collection. Priced at just $9.98 (and that’s before discounts at retail) is this three-film set that features director Mark Frost’s 1992 mystery, Storyville, filmmaker Sean S. Cunningham’s 1985 coming-of-age thriller, The New Kids (Spader is a drug-addicted gang leader who goes up-in-smoke at the end, literally) and director Ron Krauss’ 2003 sci-fi film, Alien Hunter, with Spader as a code-breaker who solves a decades old mystery only after his companions unleash an unstoppable virus. The Aug. 4 selection of DVD releases is rounded-out by four new additions to the company’s popular double-disc “TV Guide Spotlight” series. 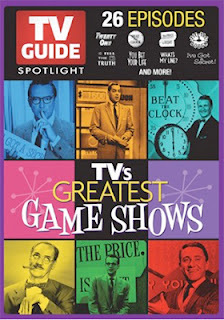 Included here are TV Guide Spotlight: TV's Greatest Game Shows, which showcasing 26 classic episodes from 15 different shows, including “You Bet Your Life” (seven episodes starring Groucho Marx), “Play Your Hunch,” “The Price is Right” and two episodes of “What’s My Line?” and TV Guide Spotlight: TV's Greatest Crime Stoppers (20 thrill-packed episodes from 20 different show, including “Decoy,” “Code 3” and “Mr. & Mrs. North”). 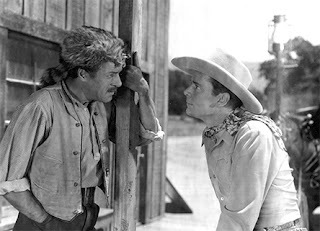 The other two SKUs are TV Guide Spotlight: TV's Greatest Animal Stars (20 episodes from such shows as “Rin Tin Tin,” “Mister Ed” and “Pete the Pup”) and TV Guide Spotlight: TV's Greatest Westerns (also featuring 20 episodes from such TV Westerns as “The Lone Ranger,” “The Cisco Kid” and “The Deputy”). Last week Warner Bros. Home Entertainment announced four delivery to the DVD market place four rare Bette Davis films. 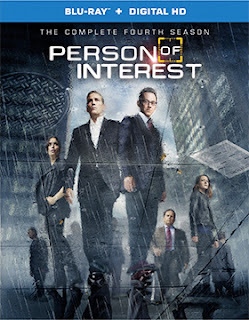 This week it is a trio of TV series for the August timeframe. Next it will be recent theatrical hits — Hot Pursuit in August and Mad Max: Fury Road right around Labor Day. In the meantime, series fans can enjoy both DVD and Blu-ray sets of Person of Interest: The Complete Fourth Season on Aug. 11. That same Aug. 11 release applies to a three-DVD collection of Two Broke Girls: The Complete Fourth Season. Mike & Molly: The Complete Fifth Season (also a three-disc set) arrives the following Tuesday, Aug. 18. During the 1940s the Hal Roach Studios more or less invented the “streamliners,” as special class of theatrical film releases. They were longer than shorts (either animated or live-action), but not exactly feature-length … usually running three or four reels. In the immediate aftermath of World War II, Robert Lippert formed Screen Guild Productions and churned out his own line of “streamliners” … action films that ran about 40 minutes each and proved to be nice fillers for an evening at the movies in the late 1940s (pre-television). VCI Entertainment announced this past week that they have restored four these “streamliners” for release on DVD this coming Aug. 4 as the James Oliver Curwood’s Royal Canadian Mounted Police: 4 Movie Collection. 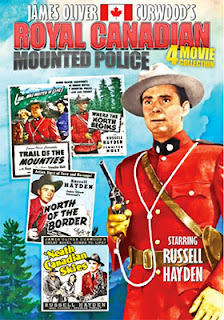 Based on the short stories and novels of early 20th Century best-selling writer and outdoorsman, James Oliver Curwood, the four “steamliners” that VCI Entertainment has assembled for this collection all star Russell Hayden in various roles as a member of the Royal Canadian Mounted Police. Included in the mix are 'Neath Canadian Skies (1946, with Inez Cooper and Douglas Fowley), North of the Border (also 1946, Lyle Talbot joins Inez Cooper and Douglas Fowley, who co-star as different characters but in the same basic roles), Trail of the Mounties (1947, with Jennifer Holt) and Where the North Begins (1947, Jennifer Holt is joined by Tristram Coffin). 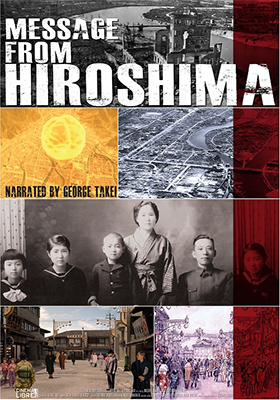 The 70th anniversary of the dawn of the “Atomic Age” will be marked by Cinema Libre on Aug. 4 with the DVD debut of documentary filmmaker Masaaki Tanabe’s Message From Hiroshima. Narration is by George Takei. On Aug. 6, 1945, the B-29 Superfortress named the Enola Gay lumbered over the Japanese mainland island of Honshu and from over 30,000 feet at 8:15 in the morning dropped “Little Boy.” Its detonation about 2,000 feet above the city instantly killed 30 percent of the city’s population. Using state-of-the-art CGI, coupled with stock footage from the period and interviews with survivors from the blast that morning, Tanabe and his technical team have recreated Hiroshima and the center of the blast area (the Nakajima district) as it was at that time. The busy streets, homes and businesses where they — the “hibakusha” (survivors) — lived and worked has been literally brought back to life in Message From Hiroshima. They are heavily armed, ruthless and easily outman her, but when a nobody of a young woman, named Pearl (brilliantly played by Dana Patton in her film debut … she also co-wrote the script), decides to take on the drug lords and their minions it is anything but a fair fight. 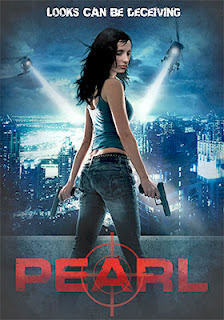 Not since Paul Kersey decided to single-handedly clean up the streets of New York City in 1974’s Death Wish, starring Charles Bronson, have New Jersey and New York seen anyone quite like Pearl. 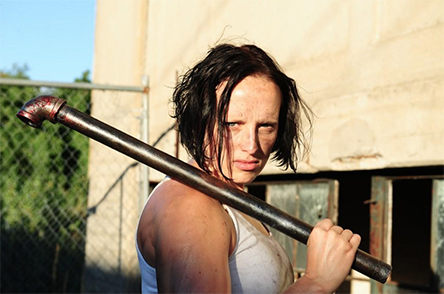 Indican Pictures has selected June 9 as the DVD release date for writer/director Guy Patton’s Pearl the Assassin. 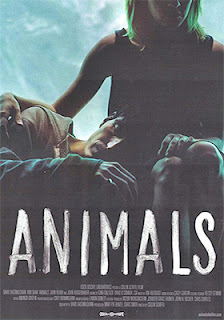 Her motivations are revealed in backstory flashbacks as she works her way through the drug gangs that left her for dead. She’s a nobody, just another victim in a meaningless crime … but she’s a nobody with the heart and courage of a tiger and she’s out for revenge. She spares the life of Erik (Scott Morales — Jersey Shore Massacre), a meth-maker for the mob, in exchange for his help in reaching the inner-circle of the drug-dealing organization that reached out and changed her life forever. It’s a partnership that is all one-sided, he provides information (and remains useful) and she takes care of business … they get the exact same measure of mercy that they showed her. As with Kersey so many years ago, the police, in the form of Detective John Wyatt (George Morafetis — Limbo, The Shore, Shutterbug, etc.) and his sidekick “Trunks” (Johnathan Fernandez — Director’s Cut, Let’s Make a Movie), have mixed feelings about Pearl. Yes, it is their job to track this vigilante down, but they sure do admire her work!!! Jude (David Dastmalchian) and Bobbie (Kim Shaw) are an attractive young couple who have dreams about careers, talk about the nice places they would like to live and take leisurely strolls through the park hand-in-hand. Jude and Bobbie are lovers … and they are druggies and they are homeless on the mean streets of Chicago. These addicted grifters are the subject of director Collin Schiffli’s Animals, which after piling up a number of film festival awards and garnering rave reviews in the process, will making its domestic DVD debut courtesy of Oscilloscope Laboratories on Aug. 25. A brief arthouse run (continuing through June and July) yields an ARR of 102 days. David Dastmalchian, who had a number of small gigs in a number of films, did what any sensible actor looking to move into more “meatier” roles would do … he wrote one for himself. And it is a doozy! He and Bobbie have parked their heap of a car — their shelter — near the Lincoln Park Zoo. It’s both home and makeshift warehouse for stuff passing through their hands. They have a daily ritual, get a fix; get that H(eroin) and in the process they have become quite efficient at moving stolen goods (uninvited wedding guests shopping at the gift table), but the clock is ticking and their “lifestyle” is slowing, inexorably taking its toll. One is easily reminded of a young Al Pacino and Kitty Winn doing the same deadly dance a generation ago in director Jerry Schatzberg’s The Panic in Needle Park. Shaw and Dasmalchian are every bit as good and their story is every bit as riveting … and their shared path to destruction seems every bit as real. 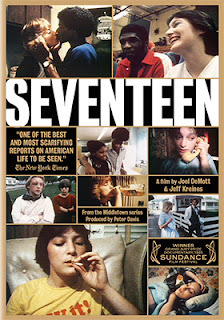 Icarus Films has tabbed Aug. 18 as the DVD debut date for Seventeen, the 1983 PBS-banned documentary from filmmakers Joel DeMott and Jeff Kreines. It was originally scheduled to air as part of the network’s six-part Middletown series (aka: The Middletown Film Project) — “Middletown” was the nickname for Muncie, Indiana — but this sixth and final segment of the series, which examined student life at Muncie’s Southside High School, was dropped as a result of the “rough content” of the final cut (language, interracial dating, pot smoking, etc.). The film resurfaced on the festival circuit and racked up awards along the way, including the Grand Jury Prize for Documentary at the 1985 Sundance Film Festival. 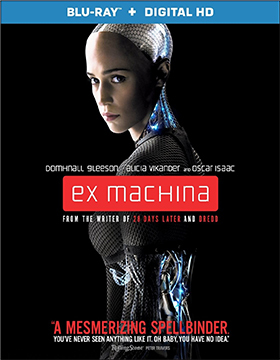 Lionsgate Home Entertainment announced this past week that the A24 Films production of director Alex Garland’s sci-fi alarm film, Ex Machina, will be available as both DVD and Blu-ray product offerings on July 14. The ARR comes in at 95 days and the domestic box office take currently stands at $21.9 million. If you present a robot, or perhaps better stated, an A.I. as something along the lines of the T-800 (aka: Arnold Schwarzenegger in The Terminator), your guard is going to be up and your survival instincts will be up and running. But if the A.I. comes in the form of Ava (Alicia Vikander — Seventh Son, A Royal Affair, etc.) it might not be survival, but seduction. When Caleb (Domhnall Gleeson — Weasley in the Harry Potter film series), a nebbish programmer for a mega-corporation (think: Google), is summoned to Nathan’s — his employer — remote research facility he is overwhelmed. Nathan (Oscar Isaac — as Poe Dameron in the Star Wars: Episode VII: The Force Awakens, plus in such films as Inside Llewyn Davis, Body of Lies, etc.) is bright, outwardly friendly, engaging and full of secrets (all sorts of secrets). His employee, Caleb, is nothing more than a lab rat and you don’t want to get the lab rat upset, so Nathan is the perfect host. He explains to his little rat that he is there to test his latest creation, Ava. To talk to her (it), develop a rapport and determine whether or not the A.I. has developed into a conscious entity. In the “real” world, deceit and seduction usually results in bad consequences … when the “real” world and the robotic world become one and the same, can you expect a different outcome? Bonus nuggets for Ex Machina include a five-part production featurette titled “Through the Looking Glass: Creating Ex Machina” and a featurette that assembles eight behind-the-scenes “vignettes” into one unit. Director Simon Curtis, who delivered My Week With Marilyn back in 2011, returns this year with yet another well-constructed biopic Woman in Gold. This early front runner for Best Actress Oscar consideration stars Helen Mirren as Maria Altmann (also played by Tatiana Maslany as the younger woman), a survivor of the Holocaust, who took on the Austrian government in a international tug-of-war over paintings looted from her family by the Nazis at the outbreak of World War II. 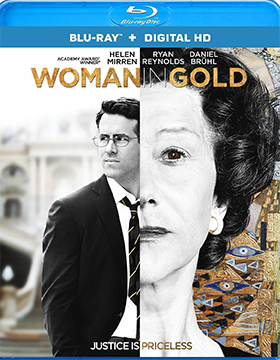 Anchor Bay Entertainment will be releasing both DVD and Blu-ray editions of Woman in Gold on July 7. The ARR is 95 days and current theatrical ticket sales stand at $30.4 million. Bonus features include commentary by director Simon Curtis and producer David M. Thompson (Emmy-winner for The Lost Prince and The Gathering Storm) and “The Making of Woman in Gold” featurette.